What is the Udvar -Hazy Center and why is it important? In 1976, the National Air and Space Museum opened in Washington, D.C. The 161,000 square foot space features 60,000 artifacts including the Spirit of St. Louis and the 1903 Wright Flyer. On December 17th, 1903 Wilbur and Orville Wright successfully flew their engine propelled plane for 12 seconds and over 120 feet. They operated that plane four times that day, and it remained airborne for 59 seconds by the fourth attempt. With the need for more room to display the abundance of air and space exhibits and archived collections, the Smithsonian realized they needed a second building. In 2003, the Udvar-Hazy Center opened in Chantilly, Virginia. The Udvar-Hazy center plays a vital role in preserving air and space history. It stores 2,800 aviation artifacts, 1,000 space artifacts, and 40 pieces of art. In addition, it has 195 aircraft and 150 spacecraft and satellites. Between two hangers (750,000 sq.ft.) the museum has these historic artifacts. 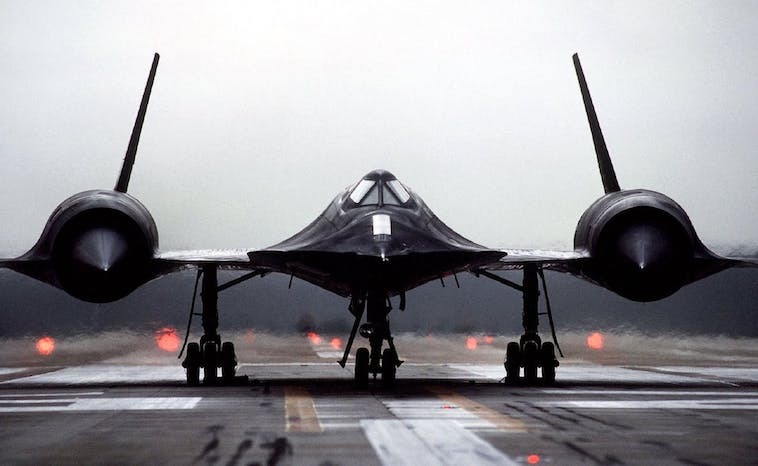 Lockheed Sr-71 Blackbird- This stealth reconnaissance aircraft traveled at Mach 3 and was used by the U.S. military from 1964-1998. Furthermore, it operated at high speeds and altitudes to allow it to outrace threats. Space Shuttle Discovery- In service from 1984 to 2007 it launched and landed 39 times. Its name comes from the ship HMS Discovery in service under the command of Captain James Cook from 1776-1780. Concorde Jet- First supersonic passenger jet in service from 1976-2003. It had a maximum speed over twice the speed of sound at Mach 2.04 (1,354 mph or 2,180 km/h at cruise altitude), with seating for 92 to 128 passengers. Boeing B-29 Enola Gay- It was the most sophisticated propeller-driven bomber of World War II and the first bomber to house its crew in pressurized compartments. Also known for dropping an atomic bomb on Hiroshima in Japan in 1945 which helped put an end to World War 2. Boeing-307 Stratoliner- First commercial transport aircraft to enter service with a pressurized cabin. Consequently, this feature allowed the aircraft to cruise at an altitude of 20,000 ft (6,000 m). In the aviation hangar, the aircraft sit or hang at three levels. Two levels suspended from the building’s huge trusses and a third level on the floor suspend aircraft in their typical flight maneuvers. Over fifteen specialists work at the Udvar-Hazy Center carefully working to restore planes and artifacts to their original condition. As a visitor to the center, you have an opportunity to watch these people work their craft. For example, you can watch the restoration of the original 1918 fabric to a Caudron G-4 French Biplane. The challenge in restoration comes with finding the original parts. “Most of our aircraft are complete and are disassembled for storage purposes, so it is fairly rare that we’re missing parts,” said Robert Mawhinney, museum specialist in the Preservation and Restoration Unit. However, Mawhinney does say that they can contact museums and individuals around the world if they need a part. The Smithsonian has a large network of resources. If you plan to visit the Washington, D.C. area, the Udvar-Hazy Center and the Smithsonian Air and Space Museum should make the list of sites to see. Visitors can enjoy hands-on activities and learn the science or engineering principles behind flight. The stories of these historic planes and spacecraft will come to life inside these wonderful museums.